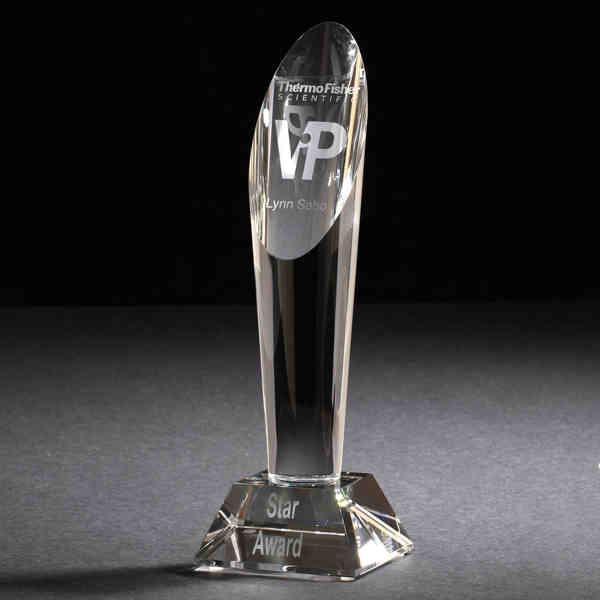 Imprint Method: Sand Carve - Present the Tribute award to your finest for a job well done! Crafted out of Optically Perfect glass, it sits atop a beautiful base and stands as a proud testament to any outstanding performance. This trophy will bring a sense of accomplishment to any office or study. Measures 10 5/8 x 3 1/2 x 3 1/4 with a prominently displayed imprint area. The Tribute award may be customized with an individual's name, corporate logo, or a brief message. Size: 10.63 " x 3.5 " x 3.25 "
Imprint Size:1" x 2", 1.75" x 2.75"